Almost all Mini and BMW vehicles in the UK are fitted with a rolling code transponder, this makes the programming of new keys very difficult for all but the main dealer, however various diagnostic specialists are constantly striving to come up with a solution for locksmiths. 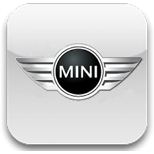 A common problem for Mini owners is locking their keys in the boot of the vehicle. At Devon Car Keys we can attend site and decode the lock using our specialist equipment, then simply cut a key to unlock the boot and retrieve your keys.